Walt Disney Company (France) tied in with Virgin Radio (France) to offer a themed trip to Cancun, Mexico during the world-famous Dia De Los Muertos festival. Xcaret Theme Park entry, with buffet lunch and either an Adrenalina, Sea Trek or Snuba experience! Chichen Itza, Cenote Ik Kil and Coba Mayan ruins and Cenote Tour! 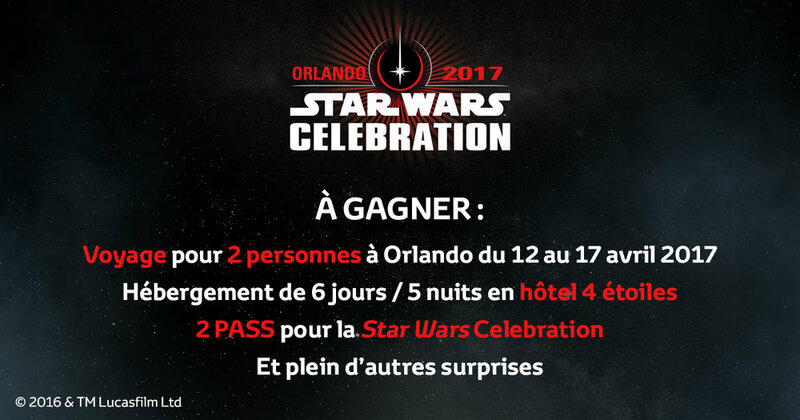 2) Text of promotion: We’ve teamed up with Toyota France and Lucasfilm Ltd to offer a grand prize holiday for two to attend the Star Wars Celebration in Orlando April, 2017.